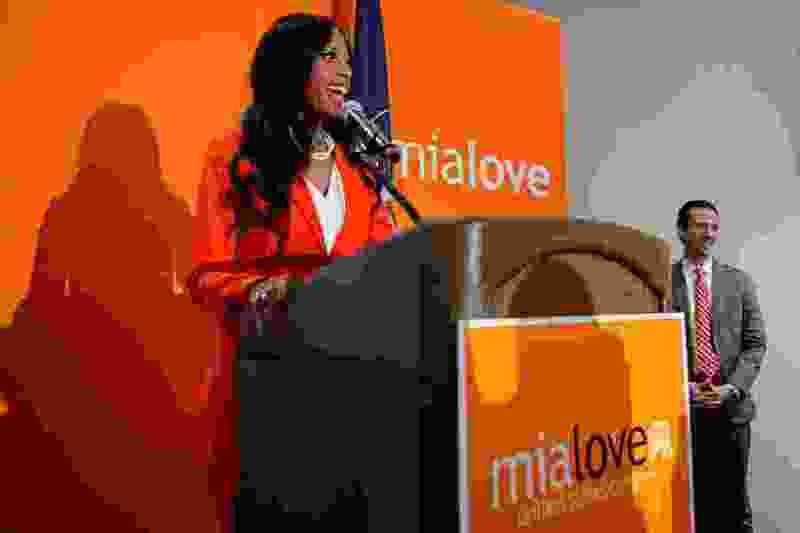 Two-term Republican Rep. Mia Love, R-Utah, is winning the 4th Congressional District for the first time since Election Day after an updated vote count in Utah County pushed her narrowly over Democratic challenger and Salt Lake County Mayor Ben McAdams. Love is currently ahead by 419 votes, reversing Thursday’s 1,002-vote lead for McAdams, who has spent the past week in Washington going to House orientation meetings and appearing in the freshman class photo with new lawmakers from across the country. McAdams had briefly expanded his lead Friday after Salt Lake County updated its vote totals. But those gains were eroded by Utah County, where Love lives and is the heavy favorite. She resides in Saratoga Springs. Andrew Roberts, McAdams' campaign manager, said the results from Utah County — which released more total votes in the district Friday than Salt Lake County — are unsurprising and track with earlier trends. “We’re optimistic that when final numbers are reported Monday, Ben McAdams will again be winning,” Roberts said. Thousands of provisional ballots remain uncounted in the district ahead of both counties' official canvass Tuesday. The 0.16 percent spread as of Friday afternoon was within the margin for a recount, which in Utah is 0.25 percent. The race is one of six U.S. House seats that remain undecided, according to election tracking by The New York Times. Love sued Salt Lake County Clerk Sherrie Swenson on Wednesday, seeking a halt to vote counting there to allow her campaign the ability to challenge the verification of ballot signatures. The parties appeared before Judge James Gardner on Thursday, and, on Friday, Gardner dismissed Love’s petition, finding no merit to its arguments.